You cannot add "Heavy Duty Pole Mount -2" to the cart because the product is out of stock. 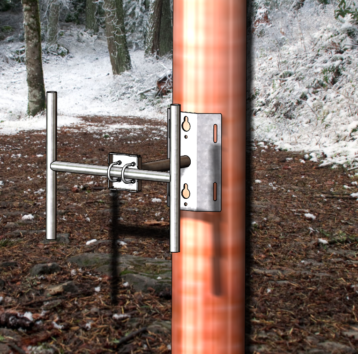 Heavy duty pole mount for larger antennas. This mount allows through bolts, lags and or bands to secure itself to the pole. Will work on poles from 6 to 24″ in diameter. 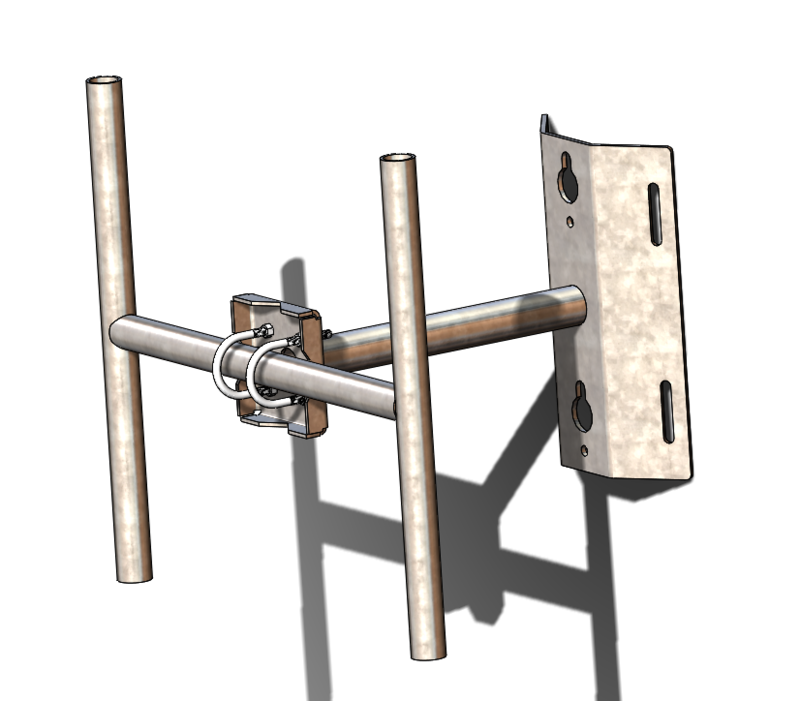 This mount will allow vertical or horizontal mounting. H Frame double mounting pipes included. Can be used V or H.
This mount was requested by small cell companies needing to mount on power poles due to the FCC small cell order. “FCC Facilitates Wireless Infrastructure Deployment for 5G”. However the FCC order also opens up city ROWs and poles to all wireless uses including WISP use. Heavy duty hot dipped galvanized. View all of our innovative mounting products. Mounts to any thing that banding will fit around. Through hole mounting and lag screw mounting as well. Ideal for mini cell sites. Access points, cameras, lights and signs. Provides a 16 inch standoff.